Clients appreciate the team’s “attention to detail and entrepreneurial attitude to serve the client“. Clients are particularly impressed by the lawyers’ dedicated and enterprising approach. One source enthuses: “I like their consistency and the attention. In addition to being quick and pragmatic, they understand the business and come up with commercially viable solutions“. Sources praise the team for its “great quality and caring about customer satisfaction“. 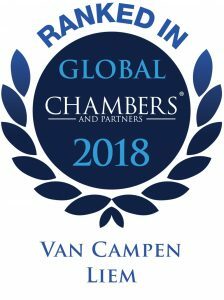 One interviewee highlights the firm’s cross-border capabilities and states that “the firm has the relevant resources and knowledge of tax matters in the Netherlands and in other EU jurisdictions“. Piet Boonstra is according to sources “solution-oriented,” and he has “good technical knowledge for assessing the key issues and risks of cases.” His focus is on the international side of tax, including cross-border matters related to M&A transactions, IPOs and private equity funds. recognised for advising on the tax aspects of alternative investment fund structuring and is heralded by clients as “a very knowledgeable lawyer who is also very pleasant.”He advised Ardian on the purchase of portfolios of investment funds from institutional investors, totalling over EUR1 billion. s acquisition of Twan Heetkamp Trailers. According to clients, he is “knowledgeable, effective and provides great customer service. Gesina van de Wetering is noted by clients for her “high-quality personality and work across numerous fields,”Gesina van de Wetering is known to represent Turkish organisations on matters involving outbound investments and cross-border issues between the Netherlands and Turkey. She typically advises on tax structures for investments.